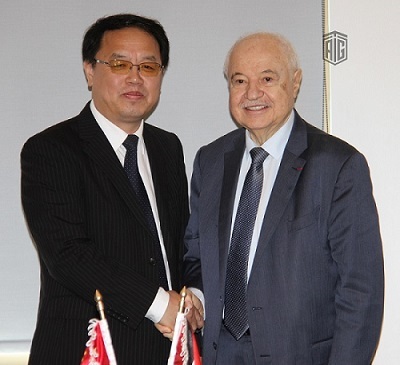 SHENYANG, China - Talal Abu-Ghazaleh University College for Innovation (TAGUCI) signed a Memorandum of Understanding (MoU) with Shenyang Normal University to join Shenyang Branch’s “Belt & Road” University Alliance. 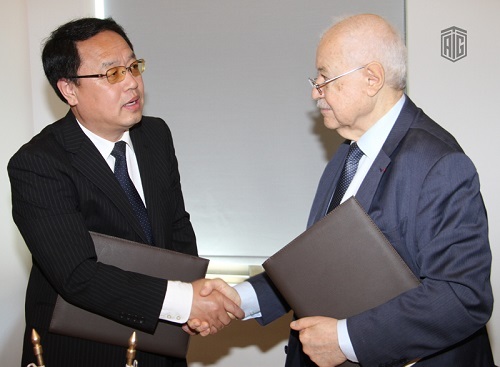 The MoU, signed by HE Dr. Talal Abu-Ghazaleh, chairman of Talal Abu-Ghazaleh Organization, and HE Dr. Jia Yuming, secretary of the Party Committee and president of Shenyang Normal University, aims to ensure cooperation between member universities of the Alliance in the fields of Talent Cultivation, Scientific Research, Innovation Collaboration, Culture Exchanges, and Joint School Running. The Shenyang Branch of the “Belt and Road” University Alliance is an unincorporated society established by the local universities in Shenyang and the universities along “The Belt and Road”. It may also include other foreign universities which intend to join Shenyang Branch. Its main functions, organization structure and operational mechanism are consistent with the “The Belt and Road” University Alliance. The Belt and Road Initiative is an ambitious effort to improve regional cooperation and connectivity on a trans-continental scale. The initiative aims to strengthen infrastructure, trade, and investment links between China and some 65 other countries. The BRI primarily consists of the Silk Road Economic Belt, linking China to Central and South Asia and onward to Europe, and the New Maritime Silk Road, linking China to the nations of South East Asia, the Gulf Countries, North Africa, and on to Europe. Six other economic corridors have been identified to link other countries to the Belt and the Road. The scope of the initiative is still taking shape—more recently the initiative has been interpreted to be open to all countries as well as international and regional organizations.